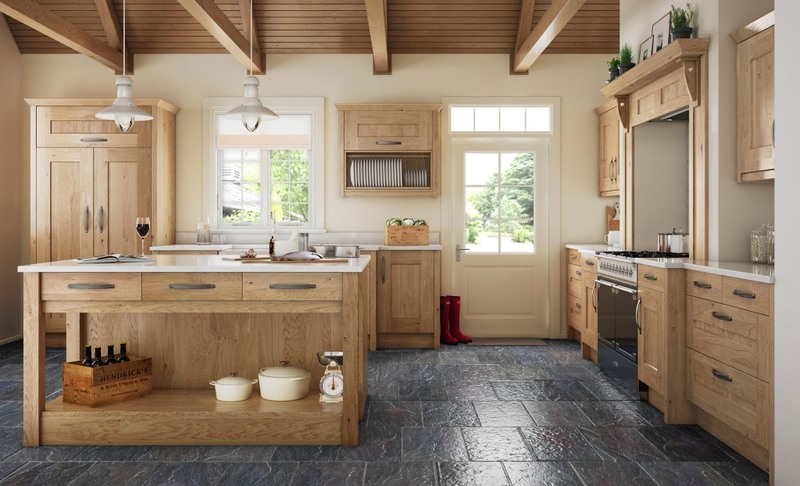 This version of the Clonmel shaker kitchen is presented in knotty oak finish. The Clonmel range has a bold solid timber structure with a wide frame and a deep profile. In addition to the knotty oak finish the Clonmel can also be supplied painted, stained or sanded. An example of combining knotty oak with a painted finish is shown in the second image below. 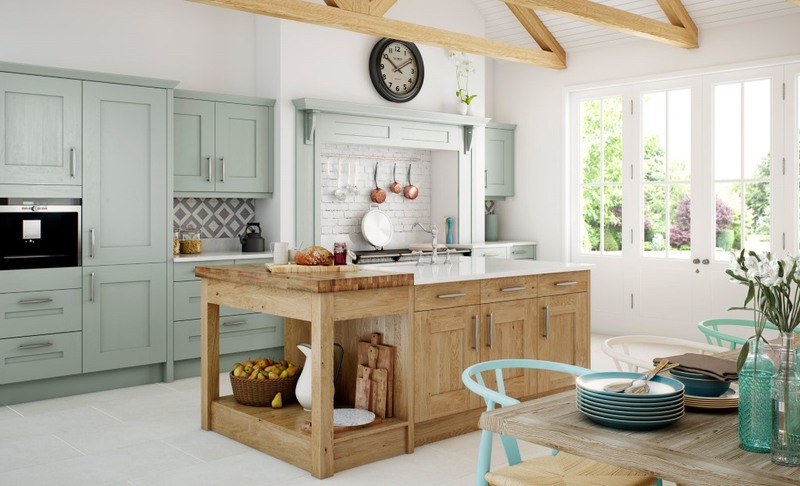 This displays the knotty oak in the island with a powder blue painted finish for the kitchen units on the wall.